November 6th, 2010, infamous day in my life where I decided to take my 8 year old WRX to a HPDE event @ NJMP in Millville. While on track I felt every sensation that I think I could while being on all-season tires in a car I was ready to baby... A friend and myself made a bet a few weeks before I went and when questioned if my car could handle a full on all-out lap of the 2.25 mile circuit, the suggestion he made was 1 lap...maybe. Well with an instructor in the passenger seat, windows down, nervous as can be, set out to my first 25min session. 3 turns in my instructor says to pit in and let him show me what to do. I obliged, pride was the least of my issues as I may have failed to mention but I was in by far the most "affordable" car on track, while the others were in the likes of Boxster S's and Cayman's and a few 996's one being a turbo. 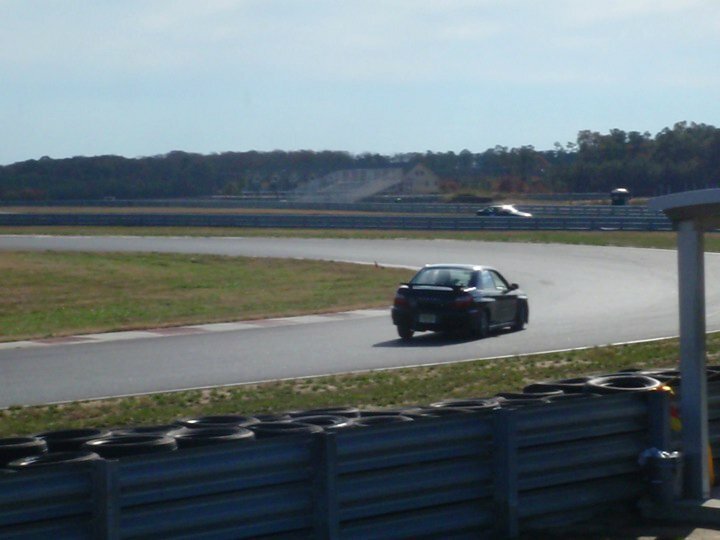 After less than 2 minutes of somewhat praise about how well my car worked from the instructor and being flogged around feeling like my car would roll by every apex, he pitted in and gave me another shot. From that moment on the fear, nerves and hesitation I had on the first lap went out, I decided that it was just a car, it was MY car, but it was nothing more than an extension of myself and i had to push it. Being "in the zone" was an understatement, I knew nothing outside of the music that was keeping the tires on their edge of grip and the engine at its peak but being aware that over-revving an engine this old and beat up that would have broke it real quick. After the first 25min ended we all pulled back in to the pits and it all hit me, my body was shaking violently and i couldn't formulate a coherent sentence let alone speak. It was November 6th, 2010, 8:00am, under 40degrees and I found my dream...my calling...my passion.